WHAT IS AN ALL TERRAIN RUNNING SPECIALIST? 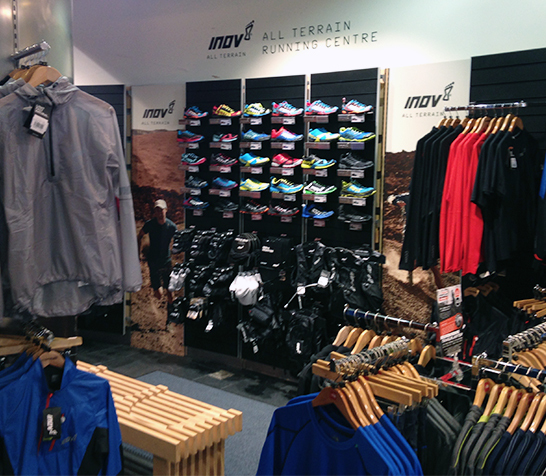 inov-8 All Terrain Running Specialists are a selection of leading independent stores that provide a comprehensive range of inov-8 footwear, clothing and equipment. These specialist stores have been handpicked and trained by inov-8 staff to offer the best advice on choosing the right inov-8 kit for you and your running adventures. Why should I visit an All Terrain Running Specialist? At inov-8 we pride ourselves on creating the best footwear, clothing and equipment for running and training on all terrains. We recommend you visit an All Terrain Running Specialist to gain a first-hand experience of the brand and what we’re about so you can choose right combination of inov-8 kit. How do I find the nearest All Terrain Running Specialist to me? Simply type your location in above, then select All Terrain Running Specialist from the search results. Pick your preferred store and pay it a visit.